It's the most wonderful time of the year: engagement season! It is always a joy seeing proposals around the holidays, especially if you get to see one happen right in front of you - a common occurrence at Disney Parks. Once you have the ring on your finger, it's time to show it off! Snapping the perfect engagement ring selfie can be a important moment. For some, it is their way of announcing this monumental event, and for others, it is a keepsake memento. 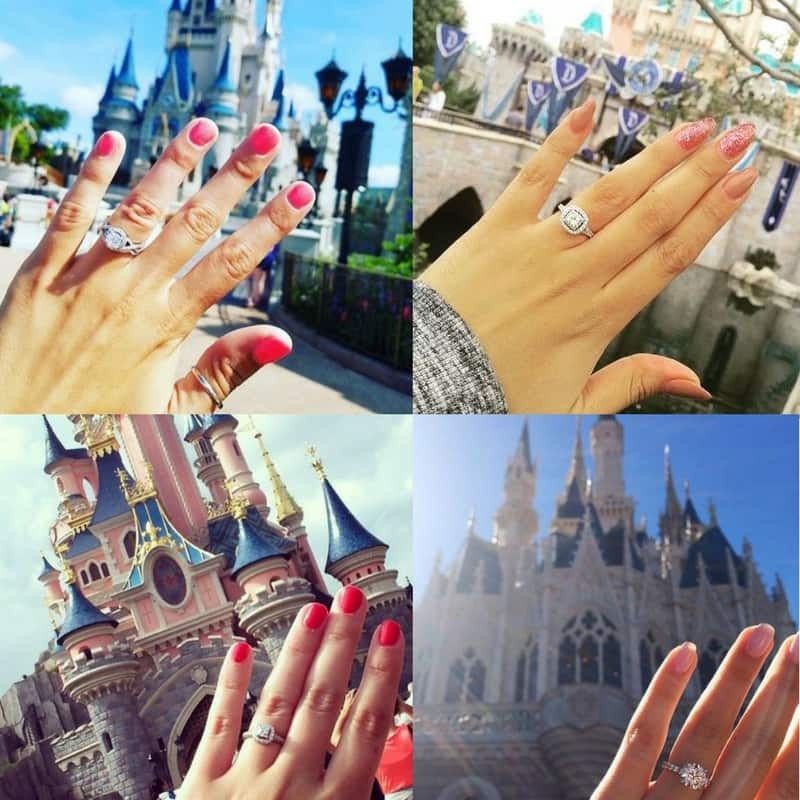 I've pulled some of my favorite shots from our Disney Weddings Instagram to give you some guidance on taking the ultimate ring selfie. The Disney Park Castles are instantly recognizable landmarks around the globe. 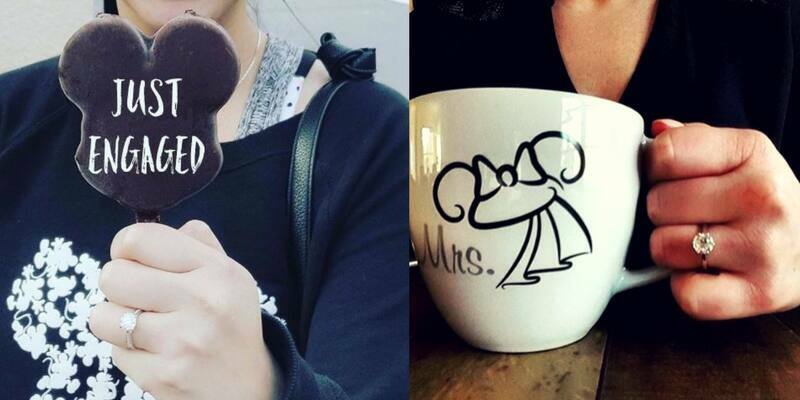 No matter which park you are in, a quick ring selfie in front (or even behind) one of these icons is always perfection. This isn't just a chance to flaunt your ring. You can also show off your nails in this moment. From bold colors to some extra glittering sparkle or even a touch of Disney, let your creativity go wild. No need for a long winded caption, sometimes a sign can speak for you. During Disneyland's 60th Anniversary, the Diamond Celebration signs were a huge hit with the newly engaged. With amazing pictures like these, you can see why. Change things up a little and add a bit of personality with some props. Grab hold of your favorite sweet treat, a mug, or anything that strikes your fancy. It is another great way to make your photo uniquely you. No matter how you show it off, we would love to see it. Be sure to follow us on Instagram and Twitter, and maybe you will be featured next.